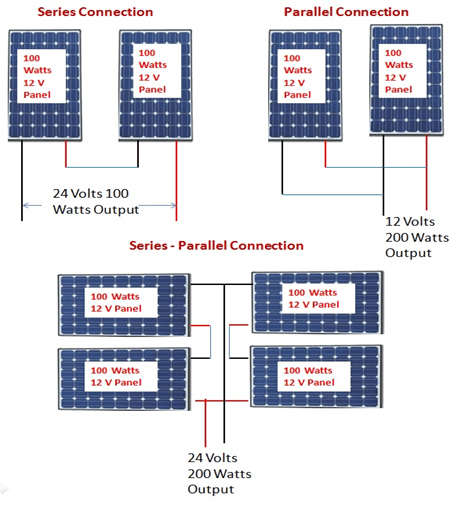 A typical Roof Top solar panels PV system also contains a set of batteries and inverter along with the modules of Solar PV cells. The overall efficiency of the system will also depend on the type of battery and inverter used in the system. It is important to choose the right components for most effective use of Solar PV systems.Generally lead-acid are the best suited for a solar PV system. They last for 5 to 10 years and are 80% efficient (can reclaim 80% of energy stored in it). These batteries are also designed to provide electricity for long periods and can discharge up to 80% of their capacity repeatedly. Automotive batteries that are shallow cycle should not be used.